Capture the magic of Christmas with this fabulously festive sticker, colouring and drawing book. 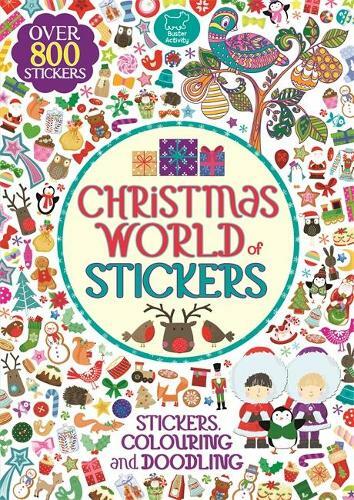 Christmas World of Stickers is packed full of festive full-colour illustrations, stunning scenes and wintery patterns to complete with colouring pencils or stickers. From decorating Christmas trees, embellishing festive treats and designing cosy knitwear to dressing up Santa's elves, completing snowy scenes and lots more, there is so much fun to be had.